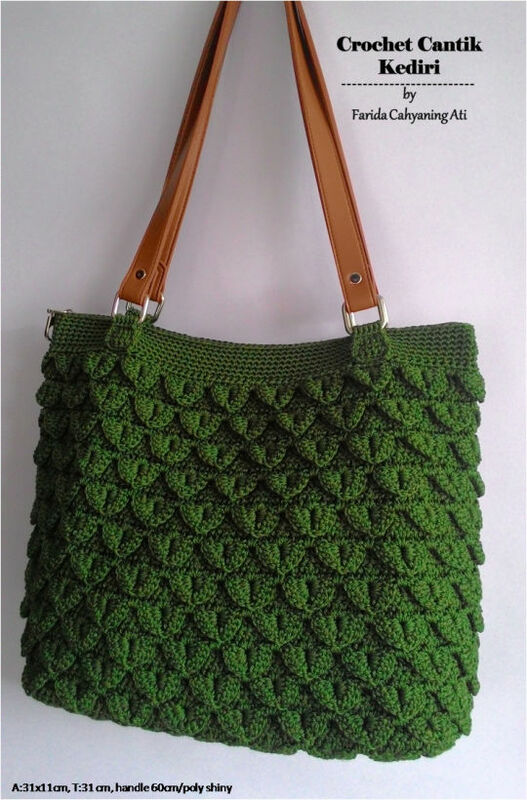 Using polyester yarn and a size 7,5 mm hook, this crocodile stitch tote was my second one. Love the stitches. I was going to use multiple 6 of ch but I decided to use 8 ch instead. Hai Vikthehook, thank you. I bought the handles, yes just the handles. I made the bag first and then I hunted for the handles. Well, actually I was just too lazy to crochet the handles part hahaha…I was soo grateful when I found them. Just sewed them on the bag and voila.